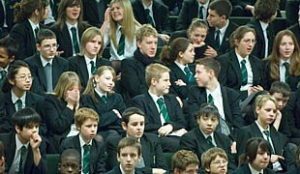 Need Secondary School Assembly Inspiration? Are you a Head of Year, Headteacher, or member of SLT? AssemblyTube can help with lots of videos and scripts specifically for you. Whether you want a KS3 Assembly idea or a KS4 Assembly idea, AssemblyTube has the answer. In a hurry? Go to 500 Assembly Videos. Below are lots of ideas for KS3 and KS4. National Geographic photographer Joel Sartore shows us that while some species have already gone extinct, it’s not too late to protect these and others. Illustrates the power of words to radically change your effect upon the world. If you have a topic in mind your can search the AssemblyTube Database. Alternatively you can try using AssemblyTube tags. Assembly stories are still enjoyed by secondary students. Here are some assembly stories you might like. There are even a few plays included here. Here’s an example Assembly Story called “Compassion – Mahatma Ghandi”. STORY: Gandhi, like Mother Theresa and Nelson Mandela, is regarded world-wide as a person who walked with great humility and wisdom. The story is told of the time Gandhi stepped aboard a train and, as he walked up the boarding stairs, one of his shoes slipped off. Unfortunately, at that exact moment, the train began to move and there was no way that he could recover the fallen shoe. To the amazement of his companions, Gandhi calmly took off his other shoe and threw it back down the railway track where it landed close to the one he had lost. There are always people who are less fortunate than ourselves. Compassion as a value, means being aware of when people are suffering, and wanting to do something about it. Even if we haven’t got material things to offer another person, we can always offer words of kindness and support. Perhaps you are looking for a script for a full assembly. Here are some Secondary Assembly Scripts. 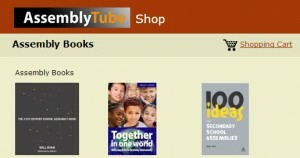 If you are looking for assembly books try the AssemblyTube Bookshop.